UrbanCrazy » UrbanCrazy goes festive! 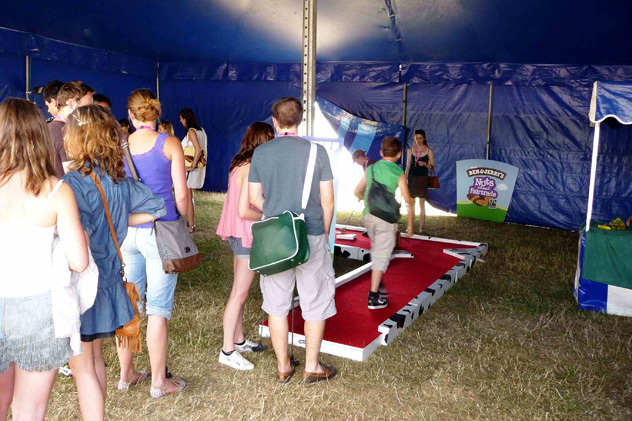 UrbanCrazy was delighted to entertain the masses at two big festivals over the last couple of weekends with our portable minigolf course. 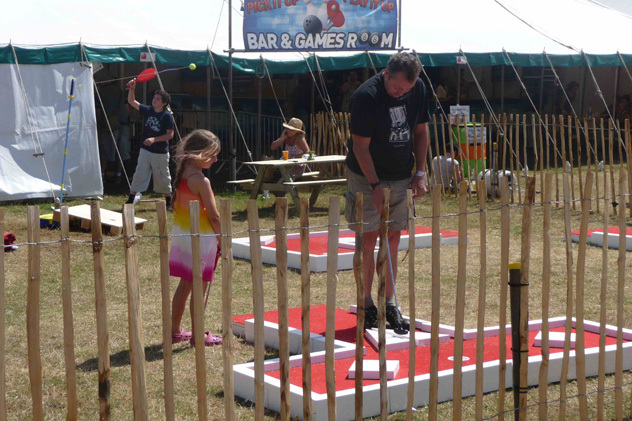 Southwold provided the backdrop for the Latitude Festival 2010, where we teamed up with the Workers Beer Company to keep the public minigolfing from the early hours till dusk. Needless to say, the standard dipped somewhat after the alcohol began to take effect! 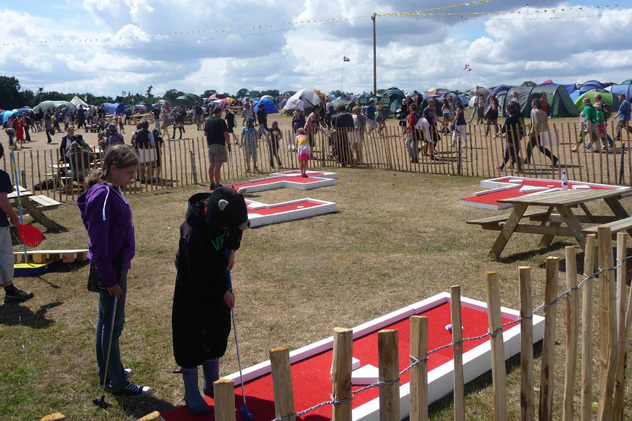 Festival goers also enjoyed performances by top bands and comics including: The Horrors; Florence & The Machines; Ardal O’Hanlon; and Phil Jupitus. 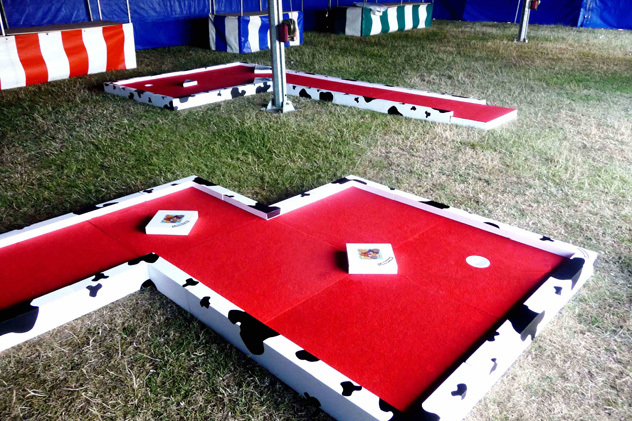 Meanwhile, back in Clapham Common, UrbanCrazy’s bespoke ‘cow patch’ splatted crazy golf course was a huge hit at the Ben & Jerry’s “Sundae on the Common” Festival. The sun beat down and free ice creams were dished out as Scouting For Girls, Idlewild, Billy Bragg and Doves did their stuff on the big stage. 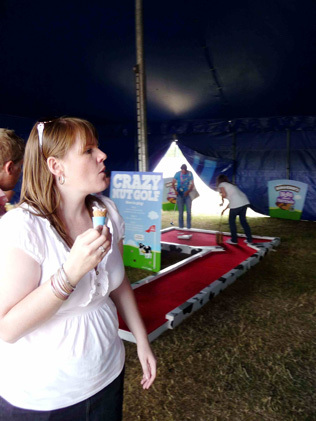 Ice cream munchers were challenged to a round of crazy golf using nuts as balls – all in aid of promoting Ben & Jerry’s scrumptious new flavour “Fairly Nuts”. 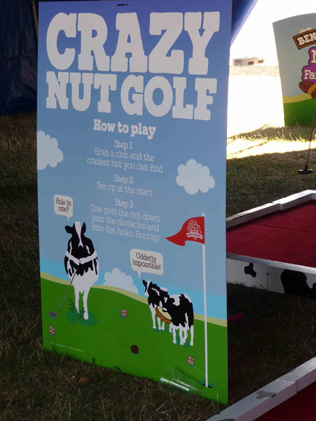 And yes, there were some cracking shots played!